Rotman Business School truly prides itself on creating ‘thinkers’ who constantly challenge the norms and become people who rethink, reinvent and redefine everything! This is a changing world and the constantly evolving dynamics requires a strategy that will help you to gain knowledge, agility and confidence to tackle these problems creatively. Shashank Singh has been impressive with his achievements starting with a bachelor’s in Engineering from Vellore Institute of Technology where he led the team that conducted their flagship event. Winning the Microsoft Coding competition conducted by IIT Delhi in 2010 boosted his confidence and he began to explore his potential in the marketing field. An astute professional with a wonderful marketing mind, he saw success in whatever he chose to sell. Being part of the CSK promotional team, he led the marketing campaign that generated a huge turnover increase. Knowing that his career and interests were bound to Marketing, he knew he had to cement this further. An investment in a business school degree was sure to return rich dividends and this is how he approached GyanOne. Using their expertise, GyanOne helped him to apply to the best business schools. His credentials, track record in extracurricular activities, experience and career goals helped him to successfully get through the admission process at Rotman Business School and ISB. ISB is what he chose ultimately giving him the right direction in a blossoming career. He continues to build on his expertise at Gulf Oil India where he is currently working as a Brand Manager right now. 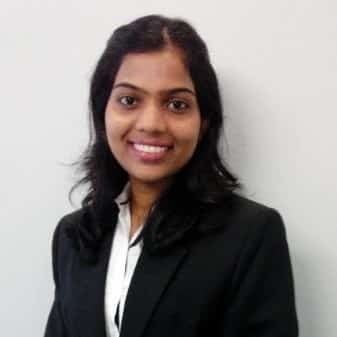 Snehal started off as a chartered accountant yet a decision to move her career forward saw her branching off toward achieving higher goals. An outstanding student right from her Mumbai university days, Snehal has always been a high-flying achiever whether it was education, work or anything else she set herself up to. Her hard work, dedication and grit helped her to crack the admission process of Rotman. GyanOne’s contribution was valuable in helping her to present her goals in the best possible manner. Read her inspiring story here. Ranked no. 1 amongst Canadian Business Schools by Forbes, Schulich has always strived to provide the candidates with exceptional leadership skills that give you a competitive advantage in the real world. With 30,000 strong alumni working in over 90 countries around the world, this is the best network you can hope to have access to. With several specializations on offer and the flexibility of switching between part-time and full-time enrolment, the MBA program is truly one that seeks to equip with the best skills required to succeed. Rohan Arora describes himself as a technology enthusiast and is up for anything that challenges him in this field. With a firm sight on his future, he knew he knew early on that he would be dabbling only in the best that technology had to offer. Having completed a BTech in Computer Science from Maharaja Agrasen Institute of technology, he joined Tech Mahindra as a Software Engineer. Whilst this may seem regular, his achievements include awards and recognition for his contributions to the firm. He moved onto Sopra Steria which formulated banking solutions to financial institutions around the world. His impeccable leadership skills and the ability to work with and lead teams to success saw him scale great heights. Not one to be satisfied with a slow progression in a career that he loved, he contemplated taking time off to study further. A business school degree would certainly work to elevate his position easily. The bigger challenge was to differentiate himself from other candidates and this could only be accomplished with the help of professionals such as GyanOne. They helped him to define and refine his goals, work on his essays and file the perfect application. This is what led him to crack the admissions at Schulich School of Business where he specialized in Management Information Systems (MIS). We wish him much success in finding that path to greater achievements. Shri Ram College of Commerce is where it all began for Vaibhav. This was a road that seemed to lead towards a career in Finance which is where his penchant lay. Once he got through his undergraduate degree, he joined Deloitte India as an Audit-in-Charge. For over three years he worked to gather the experience that would work as the perfect foundation for a bigger career in Finance. He was always an active participant in clubs and activities which showed his ability to work well with teams. Being part of the Fine Art Society and the Finance and Investment Cell helped Vaibhav to gain experiences in handling real-life scenarios. Wanting to build on his passion for the subject and with a firm focus on taking it forward, Vaibhav decided to apply to the best business schools for an MBA degree with Finance as his specialization. Thanks to the involvement of the GyanOne team, Vaibhav was able to get through to the Schulich Business School where he achieved much success. He is currently an Assurance Associate with RSM Canada. A Thapar University graduate, Rajat Goyal completed his BTech from Patiala to work with B & S Engineering Consultants in Noida. Exceptional academics combined with a fabulous record of being part of several clubs and societies in his engineering days ensured that he was comfortable handling projects with aplomb. So, right at the start of his career, he was entrusted with two major projects of Delhi Metro Rail Corporation. A strong determination to accomplish the goals set and a focus that helped him to work with diverse teams ensured that he achieved them successfully. After spending 5 years with the firm he made a career change and this saw him join G R Infraprojects Ltd, New Delhi. While his role remained the same in the new firm, his experience and past successes ensured that his pay increased significantly. An engineering degree coupled with a business one was sure to make the right impact on his profile. GyanOne was right there to help him sort through his career goals. Also, focused efforts towards the GMAT helped him to score 700. Overall, this ensured his entry into the Schulich Business School. As Peter Drucker has famously said, “The best way to predict the future is to create it”. Each one of these success stories proves that working towards your goal is the only way to accomplish it!